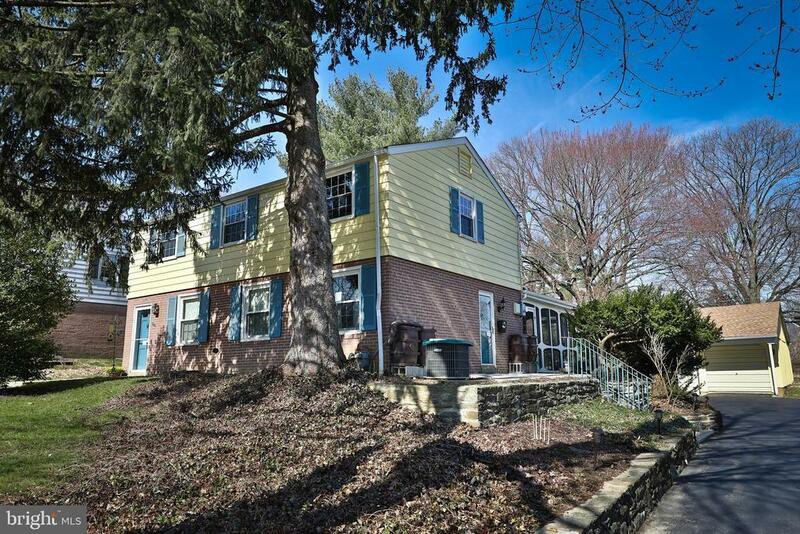 Many charming touches add to the appeal of this delightful Colonial single in a sought after section of Whitemarsh Twp just across from Plymouth Whitemarsh High School. A light and airy feel defines the interior with its gleaming refinished hardwood floors, pretty mullioned windows letting in tons of light and the tasteful use of color in cheerful, happy tones. The living room and dining area are open with a fireplace on one wall. Adjoining this area is a wonderfully spacious addition containing a family room, a full bathroom and a handy utility/mud room leading to the inviting screened in porch. The kitchen is intentionally vintage with its 36" wide stove, porcelain sink and sideboard and eating area in front of the window. The adjoining laundry and utility room offers many additional cabinets, extended counters and a second sink. Upstairs there are three good size bedrooms, great closets and a hall bathroom. The home has been well maintained. The roof, gutters and downspouts have been replaced, new low-flow toilets have been installed in the bathrooms, a new electric service has been added and loft space created in the oversized 2-car garage. There is central air. The lovely property, with its deep backyard, blooms with native plants, perennials, forsythia, hydrangea, butterfly bushes and many other species. This is a delightful property situated in the desirable Colonial school district and close to schools, parks, shopping malls, major roadways. Not to be missed! Directions: Take Germantown Ave west from Chestnut Hill. Cross Joshua Rd. Make a left on Mayflower, then a left on Colony Lane.